COZY SINGLE LEVEL HOME PERCHED ON A KNOLL This well maintained home has a cabin appeal with a great room floor plan, hardwood floors, vaulted ceilings and a wood stove. The new french doors off of the dining area open to an expansive rear deck that is framed by beautiful oaks. There are three bedrooms, including a master suite with a slider to the rear deck, inside laundry and a second bath, all on one level. The owners recently installed a Bosch tankless water heater, replaced windows, slider in master bedroom and dishwasher in 2015. There are pretty treed views to the south, from the covered front deck, excellent off street parking, plus a detached two car garage with additional storage space above. 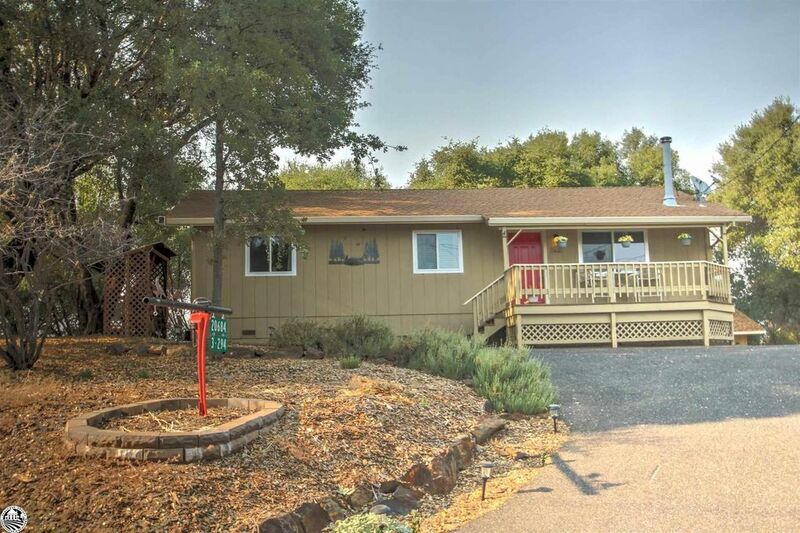 Located in the gated resort community of Pine Mountain Lake, just 26 miles to Yosemite National Park. PML amenities include a recreational lake, pga rated 18 hole golf course with pro shop and country club, tennis and pickle ball, equestrian center, and more.